I bet you can’t tell how excited I am… haha! This week has been a crazy one as I get ready to do a show for our little family store here in North Carolina. It has been quite the time of packing and cleaning and well packing some more! It is so hard for me to gauge how many of what to bring and this and that to bring I just can’t decide what is the best thing! One year it is pumpkin dip the next is the spinach dip what will it be this year? I have no clue! I just hope I don’t sell out too fast of any one thing! 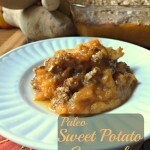 Today’s recipe is a family favorite! I started making this about 2 years ago when I had just moved back in with my parents after college. I was the cook in the house and now I understand why my mom had such a hard time with it! Some people are just too picky for their own good! (i.e. my loving step-father :-)) I did find recipes that he loved though! These roast beef enchiladas were a big hit though! They came about one night when I decided to make a 4 or 5 lb roast for us 4. Well, when it came time to clean up I realized I had a lot of roast left over! 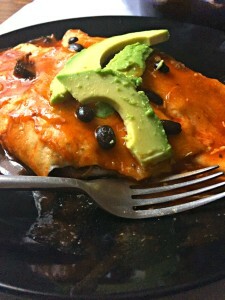 My mind got to turning and well I decided why not shred it up and make some enchiladas with it? (instead of giving the rest of it to the dogs…) So, I shredded it up the night be before and when the next night came for dinner it was an instant hit! We now make a roast specifically to eat the enchiladas! Shred your roast beef (cold or warm but not hot). Mix in 1 cups of cheese to the beef and your can of black beans (black beans must be washed well). Get out your tortillas and a 9×13 pan and spray well with nonstick spray. Pour 1 can of enchilada sauce (20 oz can) on the bottom. 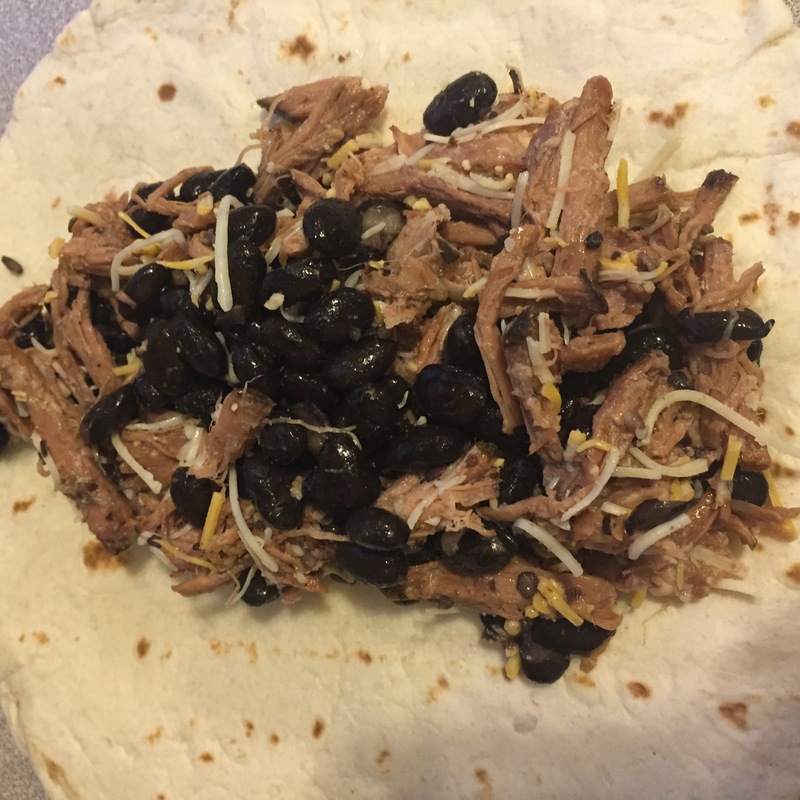 Then Take a spoon and spoon into the tortillas the beef, bean and cheese mixture. 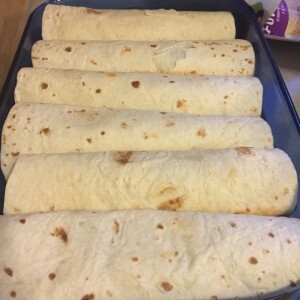 roll and place with the opening face down in the pan. Do this until the pan is full and you have no more beef mixture. 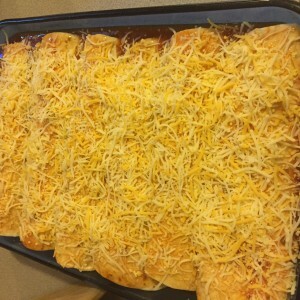 Pour your other 2 cans on top (you may not need all of the small one) and sprinkle the rest of the cheese on top and bake for 25 – 30 minutes. It only took 25 for mine. 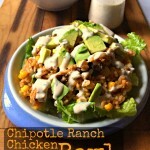 Serve hot with some Spanish rice (recipe found here) or lettuce, avocado and some sour cream or just by themselves they make a great dinner! 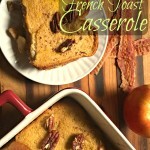 A simple dinner that can be made with leftovers instead of wasting them! Shred your roast beef (cold or warm but not hot). 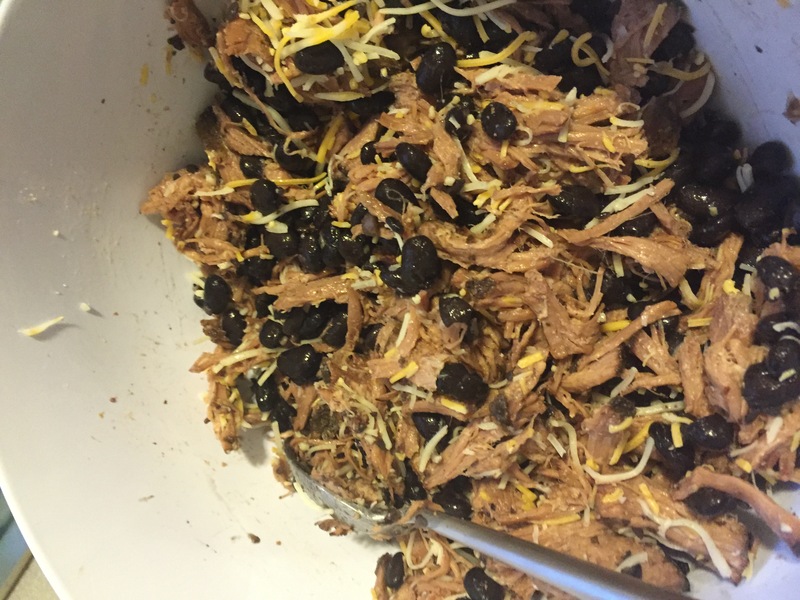 Mix in 1 cups of cheese to the beef and your can of black beans (black beans must be washed well). Get out your tortillas and a 9x13 pan and spray well with nonstick spray. 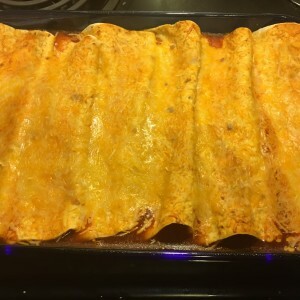 Pour your other 2 cans on top (you may not need all of the small one) and sprinkle the rest of the cheese on top and bake for 25 - 30 minutes. It only took 25 for mine. Serve hot with some Spanish rice (recipe found here) or lettuce, avocado and some sour cream or just by themselves they make a great dinner! You can add olives or green chillies or just about anything you want. 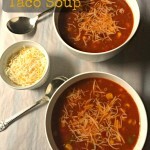 You also do not have to add the black beans but they add a great texture. 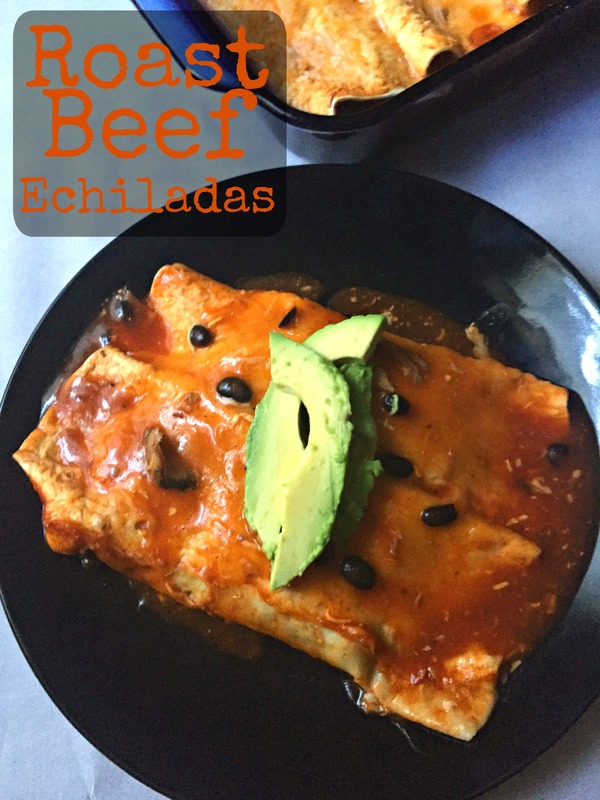 I love make these beef enchiladas a lot after we have had a roast (which with 2 people can go pretty far!). I have also done it with left over chicken too! I am the leftover queen (well I try to be) when it comes to reusing stuff. I hate when we through things away because we just got sick of eating it, so I try to freeze to figure out some way of reusing the dish so that it doesn’t go to waste. Don’t forget to follow me on Twitter (@Not2ShabbyGabby), Pinterest (@Not2ShabbyGabby), Instagram (@NotShabbyGabby)and Facebook to stay up to date on all posts and everything else. I am always on Instagram! Thank you Danita! 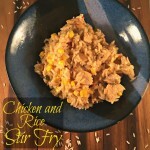 It is a fun and easy recipe! This sounds amazing! Thanks for sharing at My Flagstaff Home! Girl, I have no idea how you do all that you do! The store, blog, family, Mattie’s pantry, so many things! And you have time to cook for family and create recipes! So impressed. 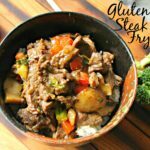 Pinning this for the next time we make roast, we always have left-overs and this sounds so yummy!!!! Thanks! Thank you Nikki! You are too sweet!